Fifth Avenue Art Gallery is open seven days a week until Christmas to give you ample opportunity to visit and find that unique gift. The 35th Annual Holiday Craft Show is in full swing. Hours for the holiday are Monday through Saturday, 10 am - 5 pm and Sundays from 1 until 4 pm. This delightful variety of crafts and art offers you a relaxing and inspiring shopping experience. 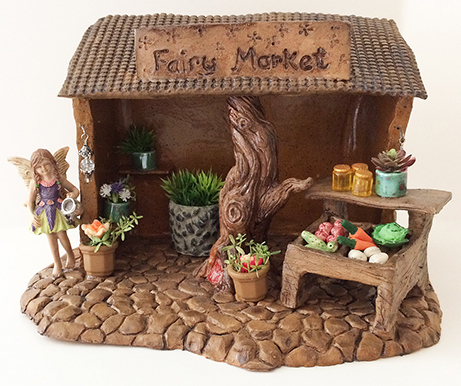 You will find crafts from pottery, to jewelry, to fiber works, glass, felted pieces, fairy houses, beaded art and more. There are new takes on angels and there is a wonderfully creative button trove for the seamstress in your life. We welcome new and returning crafters and artisans to our gallery. The show will run through January 6, 2018.